A desk read error has occurred. Press Ctrl+Alt+Del to restart. Loose or damaged hard drive cables. Remove all the removable flash drives like USB or DVD or any external hard disk and reboot your computer. If you have added a new RAM recently, remove it and leave only one RAM. Restart your computer to check if the error still persist. Leave one RAM in a slot and restart your computer. If that didn’t work try changing the slot and restart your computer. Check the cables that connect your hard drive to your computer. If the cable is defective or loose, it can cause A Disk Read Error Occurred error. To check the connection open the hood of your computer and check if the IDE cable is properly connected at both ends. 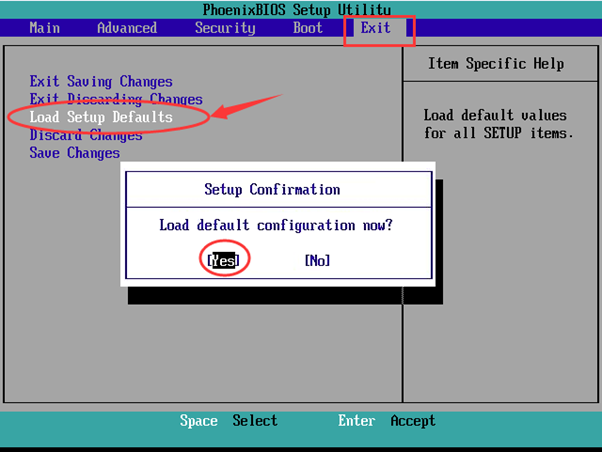 Press the required key to boot into BIOS. Any of these keys is usually shown on screen to boot into BIOS: F2, F8, F12, Esc or Del. to reset BIOS. Press Enter. Select Yes on Setup Confirmation. Exit BIOS using arrow keys. Insert a Windows installation disc and Restart your computer. On Windows Options menu press R on your keyboard to enter Recovery Console. Type chkdsk /r into the Command Prompt. Remove disc and restart your computer.